Want to have the best year ever? Maybe it’s time to pick up a paperback and take some time out. 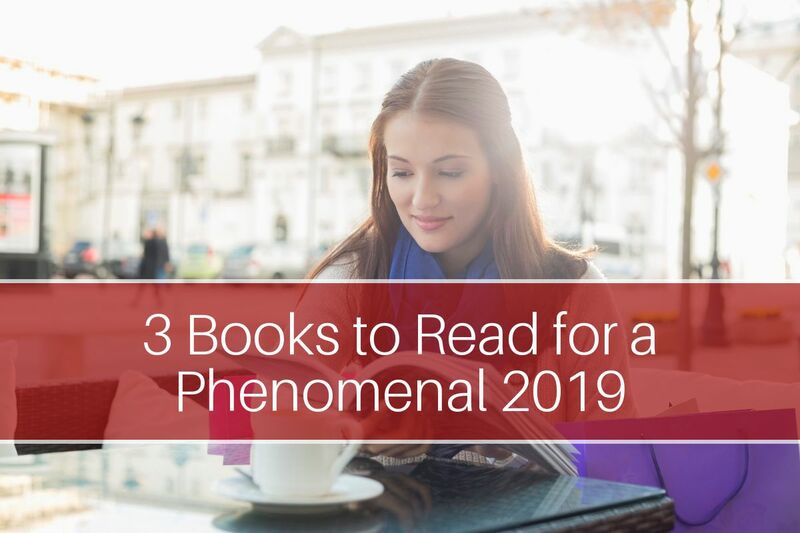 Here’s 3 books to get you started. Want to have your best year ever? Well here’s the deal – get more sleep, change your relationship with time and take a holistic approach to designing your goals for 2019. ** Hint – that means business has to actually make life better, not take it over! This is the approach I’m taking anyway, after spending 2018 feeling way too tired and way too overworked to actually enjoy my life in a well-rounded and sustainable way. I’ve spent a good deal of time, energy and effort at the start of this year completely overhauling how I want life to be in 2019 and the following 3 books have been instrumental in helping me do this. The thing I liked best about this book was its focus on the fact that real life is indeed multi-faceted. Let’s face it, there’s not much point in setting super-ambitious business goals if you’re so unhealthy you can’t get out of bed on time every morning. Michael divides up the life domains into spiritual, intellectual, emotional, physical, marital, parental, social, vocational, avocational and financial. He also has an assessment tool you can take on his website to work out your “LifeScore” across all all of these domains. I found this very useful in terms of giving me a baseline point for improvement. There are also some great chapters on habits and how to embrace risk for greater rewards. The sample goal templates at the end of the book are also extremely helpful. This book is a great kick up the pants for any ambitious woman holding onto the story that she is a victim of time. Because when it comes down to it, as Laura’s research shows, we have way more time than we often think we do. 168 hours a week in fact. We just need to get more agile about how we arrange those blocks of time and focus on making life easier (I’m looking at you, Type A perfectionist). Laura invites us to rethink notions of balance and how you parent. I particularly like the section where she encourages us to tell their kids what we actually do, so they can get to know us as people. The results she shares from hundreds of successful women’s efforts to track their time for a week is truly fascinating and inspiring. It shows us that effective time management can be done if you are willing to take charge and change your relationship with time. I have learnt from both personal experience and the stories of my clients that sleep truly is at the heart of everything, as Arianna Huffington explains in her book. I think it’s safe to say that optimising sleep is the new black, with one of the experts quoted in the book saying that good sleep is as important as wearing your seatbelt. So why are the vast majority of us not getting enough sleep? Because we don’t prioritise it! It’s that simple. As someone who suffers from Restless Legs Syndrome, I’ve made it my top priority in 2019 to never let lack of sleep hold me back ever again. This means I’ve had to get real about cutting down late night light from devices, which Airanna says is the number 1 thing we need to do to improve sleep. And I love how she takes aim at the high-achieving culture that likes to perpetuate the myth that people at the top don’t sleep. “Boards of directors need to acknowledge that a CEO who’s bragging about getting only four hours of sleep a night is essentially saying that he or she is making decisions while drunk. They need to see that that’s not something to be applauded or rewarded. In fact, it’s a massive red flag,” she says. Want to reach your true potential in 2019? Then focus on your sleep! Sleep and time really are our most important resources. Treat them as such across both work and life to break new ground without breaking yourself in 2019. Do you have any plans on how to have your best year ever? We would love to hear from you! Please send us a comment below and share your wisdom with our beautiful community of Empowering Ambitious Women.